Did you wonder when I would ever get to this book? It is the last in my collection. It originally belonged to my daughter, who was not using it. So she let me take it. It was the title that got to me. 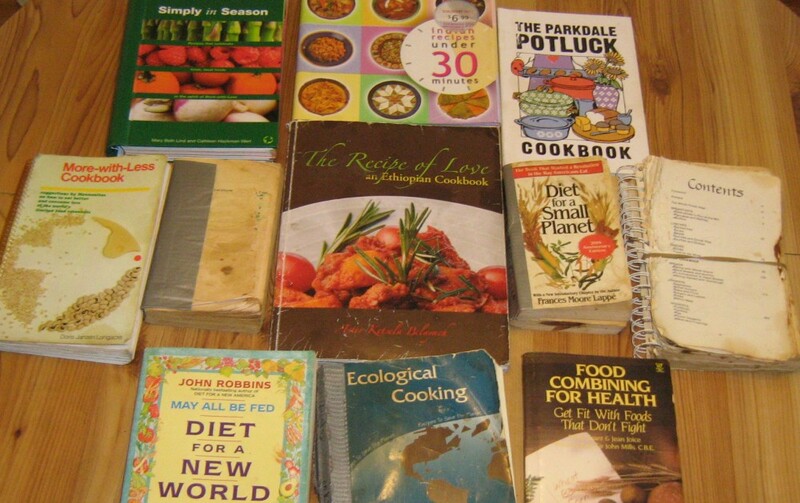 When I first began cooking seriously, I started with a cookbook called Easy Gourmet Cooking in 30 minutes. I wish I still had that book. I would certainly not have tried Indian cooking without the promise that it could be done quickly. 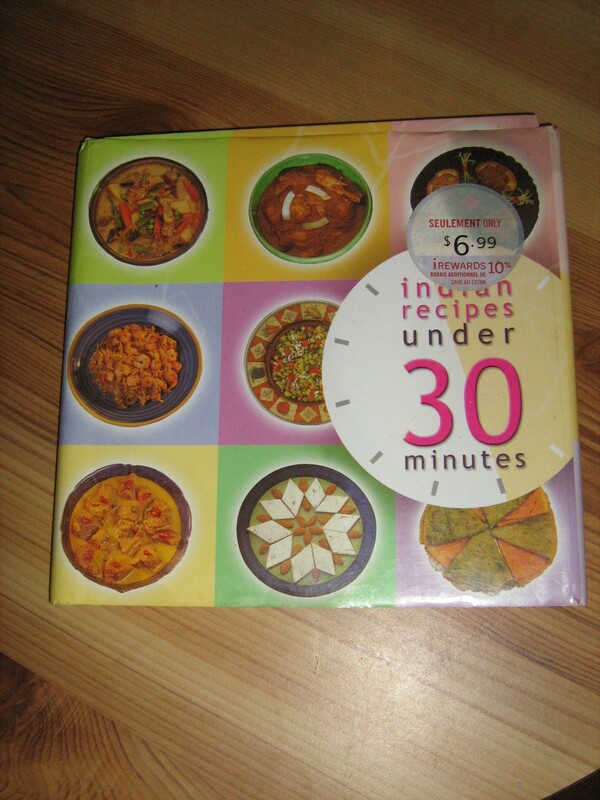 This entry was posted in The cookbooks and tagged Indian cuisine, Indian Recipes under 30 minutes by gluadys. Bookmark the permalink. Can You write something more about it? Is it any good? Does it have nice pictures (as a beginner I always wanna know ^^”)? Yes, Ania. It has very attractive colour photos of every recipe. And the recipes are very good, meaning both that they taste very good, and the instructions are clear and easy to follow. Also, at the beginning there is a page about some ingredients commonly used in Indian cooking. The only real difficulty I have had is finding some of the more exotic ingredients. I am fortunate to live in a city where there is a large and growing South Asian community, so a little sleuthing usually turns up a source for them. Some items, like green cardamom seeds or tamarind paste, may not be available in smaller communities and would require a special trip to a city with a strong South Asian community. Sometimes these ingredients can also be found in West Indian shops. Thanks so much for the response :)! I accidentally found the book (cut-priced) in a shop where it was wrapped so that it cannot be opened before buying and just wasn’t sure if it’s worth it. The ingredients might not be a problem because I’ve got a lot of travelling friends. I’ll definitely buy it, thanks again ;). That’s great news. I am sure you will enjoy it.